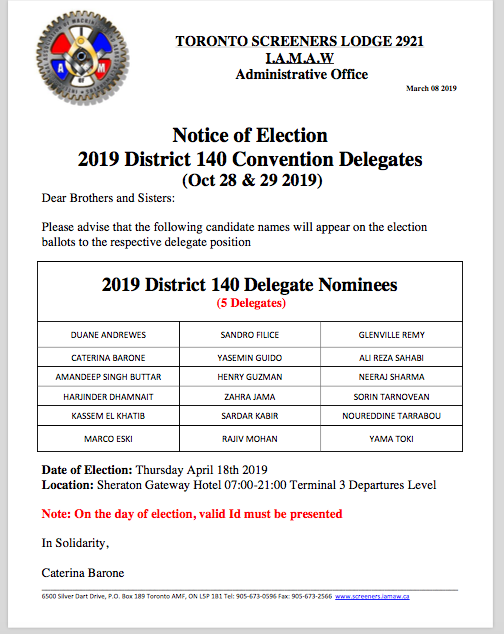 Local Lodge 2921 has posted the seniority lists for your review. 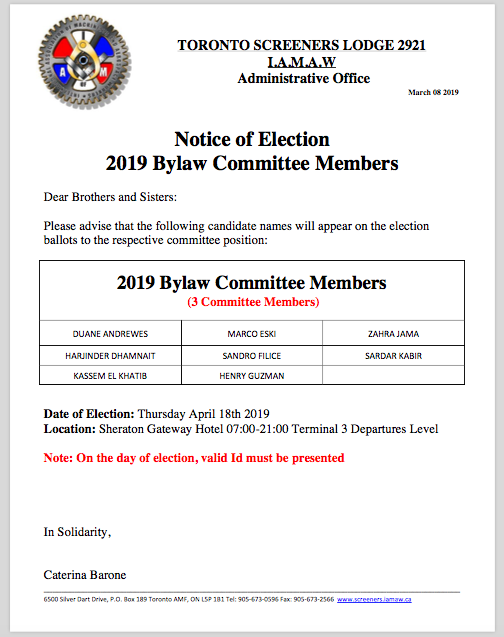 The current seniority list will be posted in the respective Union offices or with your respective Chief Steward. Seniority date should be the date when you became a Screening Officer at either Toronto Pearson International Airport or Billy Bishop Toronto City Airport. date as a Screening Officer. Company Seniority date is to govern your Vacation Entitlement percentage. 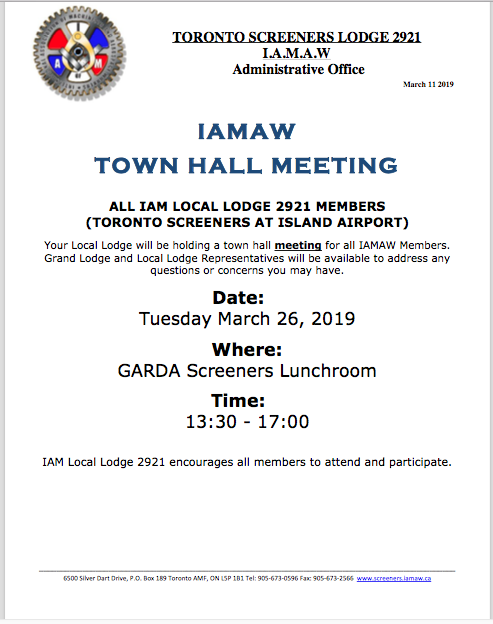 If either date is not correct, please submit an IAMAW Local Lodge 2921 SeniorityInquiry Form along with any and or all documentation to support your claim toyour respective Chief Stewards. The seniority committee will further investigate your inquiry. Please ensure to obtain a copy of your inquiry form submitted from your respective Chief Steward. Seniority Challenges will be open from Thursday March 28TH 2019 – 12 noon on Thursday April 4TH 2019. 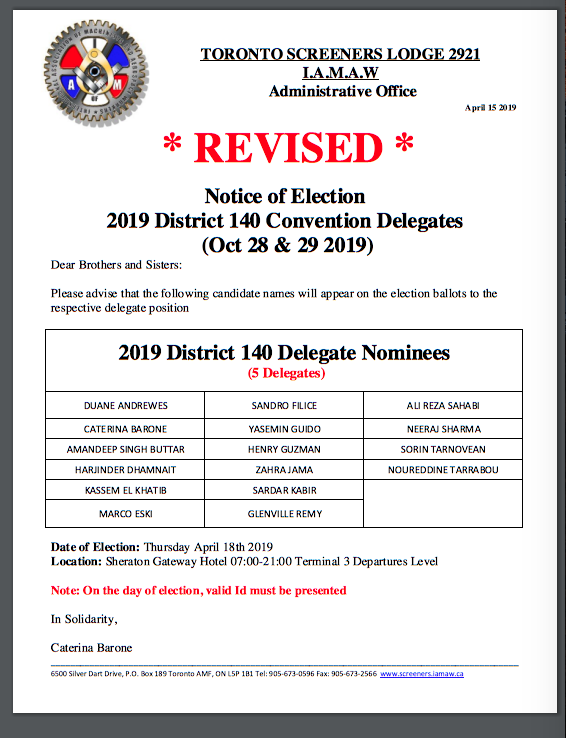 DEADLINE FOR ALL SENIORITY INQUIRIES IS 12:00 NOON ON THURSDAY APRIL 4 2019. “Q. If the IAM is voted in, what is the first thing that would be addressed?